The second episode of NBC’s new show has already aired, but I wanted to look at the pilot specifically to see how bad a case of ‘pilotitis’ it may have, and how well expectations fostered by this episode match up with what the show then actually delivers — better, or worse. 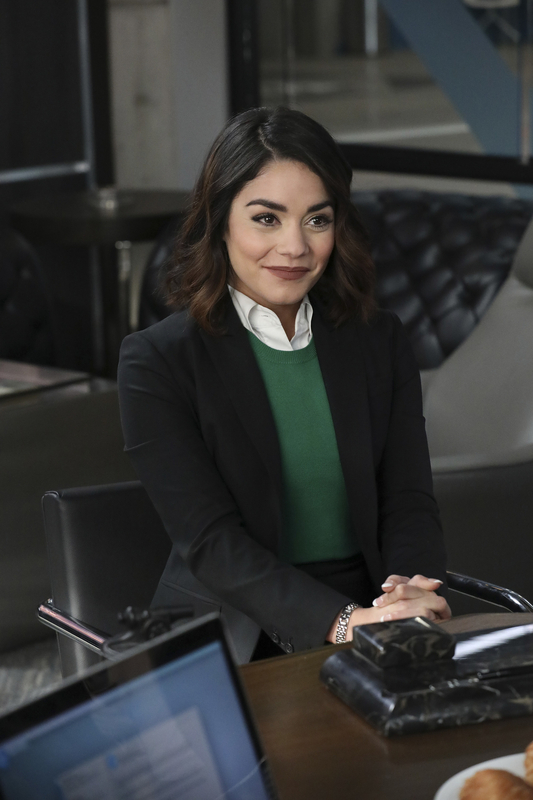 Vanessa Hudgens stars as Emily, the disgustingly cheery and happy-go-lucky new R&D manager at Wayne Security, a subsidiary of Bruce Wayne’s sprawling business empire and led by his hapless cousin, Van (the wonderfully feckless Alan Tudyk). Taking over a department of people that have been told ‘NO’ again and again and again, Emily is challenged by pretty much everything and anyone right on her first day. From learning that she’s not exactly the first to head the department this year to Van being overjoyed at his cousin shutting the company down because nothing truly hot has come off the presses since the Joker’s laugh gas antidote, it’s not an easy first day. From a comedy standpoint, the show needs work. The setups to a lot of punchlines (like Emily’s small-town excitement at the train derailing whilst everyone else just reschedules their meetings) are too drawn-out and forced. The jokes themselves, despite some of them perhaps being easy pickings, would work, it just doesn’t click yet. The chemistry between Hudgens, Pudi, and Funches starts off well, though, and I can see them achieving greatness (or at least goodness) once they get to know each other better; both as characters and as actors. So upwards movement is definitely necessary, but Gotham got good when Ben McKenzie finally found his set of facial expressions that he’d dropped down the back of the sofa, so maybe there’s hope for the DC Comics TV verse yet. It’s great to have a superhero-adjacent show that doesn’t take itself seriously — and doesn’t take heroes and villains seriously, either. While I would argue that the show needs more distinct villains beyond the Evil Pumpkin, what it definitely needs is more reports of Batman using Wayne Security tech for some reason~~, and to watch as absolutely no-one makes the connection. Considering Batman is a huge frickin’ nerd — yeah, probably. 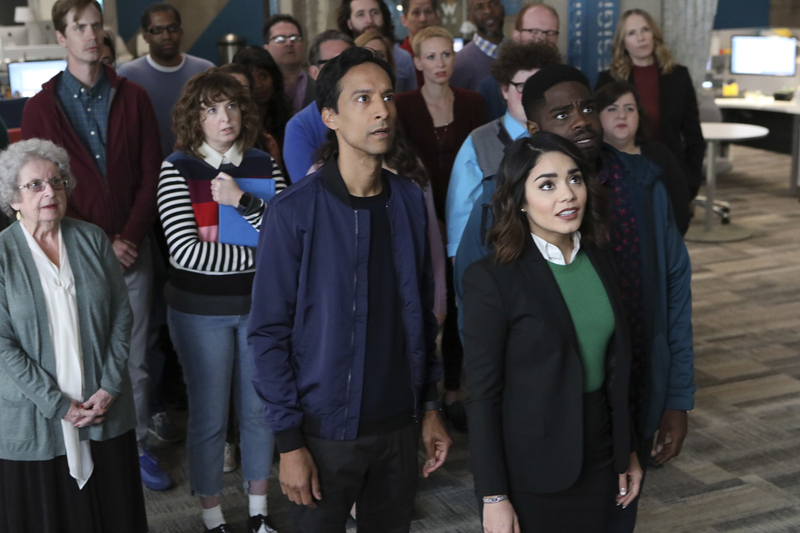 Speaking of superhero-adjacent: in that category, Powerless is certainly going to be competing against the new FX drama Legion that premiered last week to very favourable reviews. Starring Dan Stevens, Legion acts as the TV branch of the X-Men, and critics have expressed the hope that the mutants led by Charles Xavier might finally have their small screen breakthrough outside of animated series. 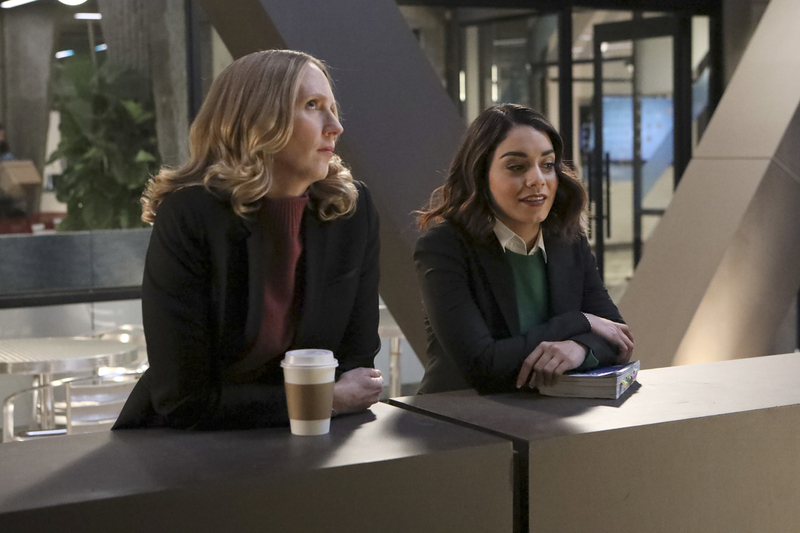 So Powerless and Legion are situated at opposite ends of the spectrum, certainly, but what they have in common is that they can afford to keep their focus small, their cast less sprawling, and to actually get to know people instead of blowing stuff up twice an episode — something that even the ever-growing Agents of S.H.I.E.L.D. only managed for about half a season early on. 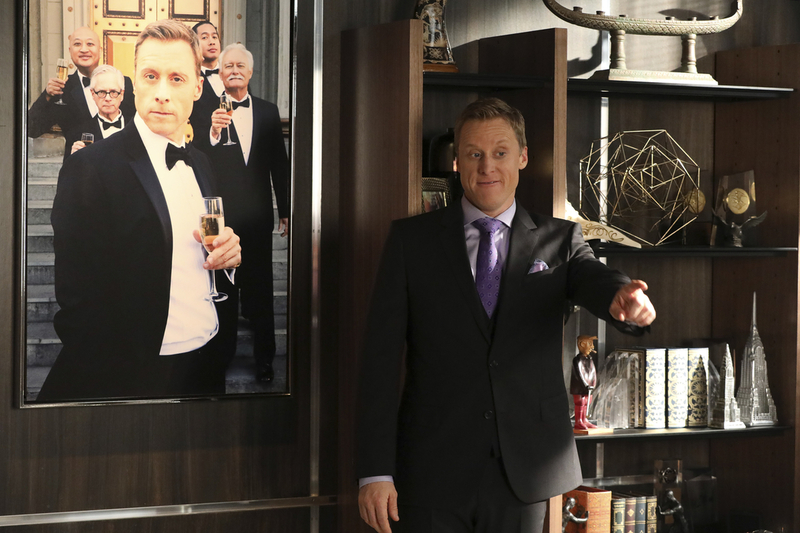 What Powerless sets us up for are increasingly nutty inventions that might even tickle a quirk of the lip out of the Batman, a hapless Van desperate to sink the ship only to be thwarted by Emily and her team just in time, and eventually… a reward? Even in comedy, things eventually end up going somewhere, even if they can afford to go slow. If not, it’s to be and remain harmless fun, but not much else. Potential detected: good female friendships. Yes, please.